For something a little different, try gifting one of our beautiful ready to drink Scottish cocktails using the finest spirits & botanicals Scotland has to offer. 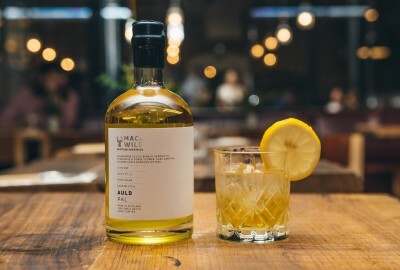 The Auld Pal Negroni is a pre-mixed Negroni style cocktail consisting of Hendricks Gin, Dandelion & Burdock Bitters, Wild Chamomile and Gorse Flower, Bianco Vermouth and Suze Gentian. A well balanced aperitif. This cocktail is best enjoyed in a sun drenched field of Highland flowers just before an afternoon picnic. Alternatively, simply chill and serve 50ml wherever and whenever you so choose.